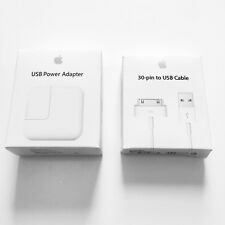 SUPER FAST SPEED CHARGING FOR APPLE PRODUCTS. OEM Quality. Trending at $13.27eBay determines this price through a machine learned model of the product's sale prices within the last 90 days. 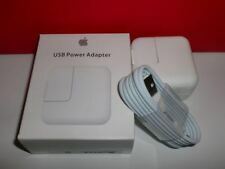 Apple A1401 12W USB Power Adapter Plug for iPad, iPhone, and Watch. Compatible with iPhone, iPad, iPod, and Watch. USED - LIKE NEW. Original Apple product. Model A1401. iPhone X Cases. iPhone 8 Cases. 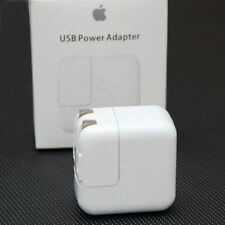 Apple Part Number: MD836LL/A. 1 X Original Apple Lightning Cable. 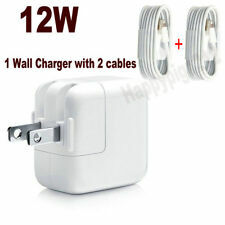 Apple 12W USB Power Adapter Wall Charger A1401. Condition is Used. Shipped with USPS First Class Package. Brand New. Out of box with clear plastic seal. USB cable included. Thanks for your interest. 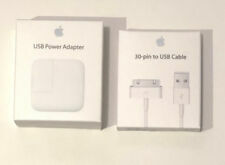 Apple 12W USB Power Adapter Wall Charger A1401 Lot of 6 New. Condition is New w/out box. Still in plastic wrapper from iPad box.